After many teasers, Asus has finally launched the Asus ZenFone Max M2 and the Asus ZenFone Max Pro M2₹ 12,999 smartphones in the country. The two phones are priced fairly aggressively, and look to give tough competition to other entry-level and entry-to-mid level phones in the market. 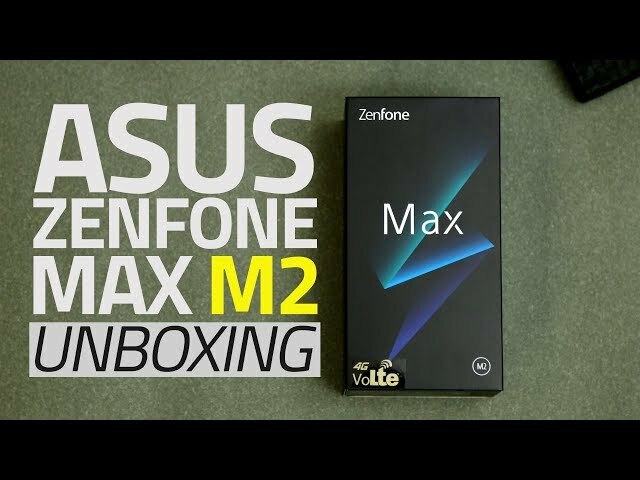 The Asus ZenFone Max M2 and the Asus ZenFone Max Pro M2 phones are a little bit different in terms of design, and come with slightly different specifications as well. The devices are both exclusive to Flipkart, and will go on sale next week with launch offers. We pit the Asus ZenFone Max M2 with the Asus ZenFone Max Pro M2 to see what the differences between the two. The most obvious difference between the two phones is the price. The Asus ZenFone Max M2 is cheaper than the Asus ZenFone Max Pro M2 variant, which starts at Rs. 12,999 for the 3GB RAM/ 32GB inbuilt storage variant, going up to Rs. 14,999 for the 4GB RAM/ 64GB inbuilt storage variant, and Rs. 16,999 for the 6GB RAM/ 64GB inbuilt storage variant. On the other hand, the Asus ZenFone Max M2 price in India starts at Rs. 9,999 for the 3GB RAM/ 32GB inbuilt storage variant, going up to Rs. 11,999 for the 4GB RAM/ 64GB storage variant. The ZenFone Max Pro M2 will be available in Blue and Titanium colour variants from December 18, exclusively via Flipkart. Launch offers include no-cost EMIs, and discounted rates for Flipkart’s Complete Mobile Protection programme (available at Rs. 99). On the other hand, ZenFone Max M2 will be available in Blue and Black colour variants in India from December 20, exclusively via Flipkart. It has similar launch offers. At a slightly higher price, the Asus ZenFone Max Pro M2 offers a glossy reflective back panel finish for a more premium look, a display notch, a dual rear camera setup with LED flash support all aligned vertically one after the other, and a rear fingerprint sensor as well. The Asus ZenFone Max M2, on the other hand, sees a wider notch up front, a matte metal finish at the back with visible antenna bands. The cheaper variant also sports a vertically stacked dual rear camera setup and a rear fingerprint sensor at the back. Coming to hardware, the Asus ZenFone Max M2 and the Asus ZenFone Max Pro M2 both run on stock Android 8.1 Oreo, sport dual-SIM slots, and a dedicated microSD card slot for memory expansion. Both the devices sport 6.26-inch displays with 19: 9 aspect ratio, but resolutions of the Pro variant are at 1080×2280 pixels, while the ZenFone Max M2 variant sports a 720×1520 pixel resolution. The Asus ZenFone Max M2 is powered by the Snapdragon 632 processor, while the Asus ZenFone Max Pro M2 is powered by the Snapdragon 660 processor. Both the phones are offered in 3GB RAM + 32GB storage and 4GB RAM + 64GB storage options, but the ZenFone Max Pro M2 is also offered in 6GB RAM + 64GB storage options. Coming to the camera, the Asus ZenFone Max Pro M2 sports a dual rear camera setup, with a 12-megapixel primary sensor (Sony IMX486 sensor, f/1.8 aperture, and 1.25-micron pixels) coupled with a 5-megapixel dedicated depth sensor. The rear setup features EIS, 4K video recording support, and an LED flash module. On the front, the ZenFone Max Pro M2 sports a 13-megapixel sensor with an f/2.0 aperture, 1.12-micron pixels, and an LED flash module. The Asus ZenFone Max M2 also sports a dual rear camera setup, with a 13-megapixel primary sensor (f/1.8 aperture, 1.12-micron pixels) coupled with a 2-megapixel dedicated depth sensor. The rear setup features 4K video recording support and an LED flash module. On the front, the ZenFone Max M2 sports an 8-megapixel sensor with an f/2.0 aperture, 1.12-micron pixels, and an LED flash module. The Asus ZenFone Max M2 packs a 4,000mAh battery, while the Asus ZenFone Max Pro M2 packs a 5,000mAh battery. The cheaper priced variant is lighter at 160 grams, while the Pro variant weighs 175 grams. It is also thinner at 7.70mm, while the latter is 8.50mm thick. The Asus ZenFone Max M2 offers Bluetooth v4.2, while the Asus ZenFone Max Pro M2 offers Bluetooth v5.0. Both the phones support Face Unlock, and come with a rear fingerprint sensor as well.